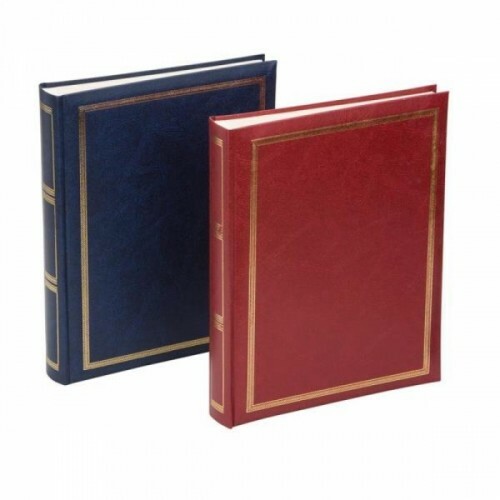 The Sonata faux leather book bound self adhesive album is available in a choice of dark blue or burgundy. Finished with gold blocking to the front cover and spine which gives the album a very classic look. Each album is 26.5x33.5cm and has 50 off white coloured pages with a clear film overlay offering a capacity of up to 200 photos 6x4" / 10x15cm or a proportional quantity of over sizes. Albums are supplied with a protective plastic jacket.